We truly understand the delicate balance between artistic vision, innovation, fabrication and successful installation. By blending craftsmanship with intense attention to detail with over 30 years experience, we ensure that each project captures the full creative potential that lighting can offer to any space. Gibson Lighting's Workshop is truly a remarkable space that combines the creative flair of an artist studio with the raw tools of a fabricator warehouse and the countless products of a large retail store. One visit to this rare gallery-factory-store and you will see exactly why we received the BEST OF HOUZZ 2018 distinction for Client Satisfaction. 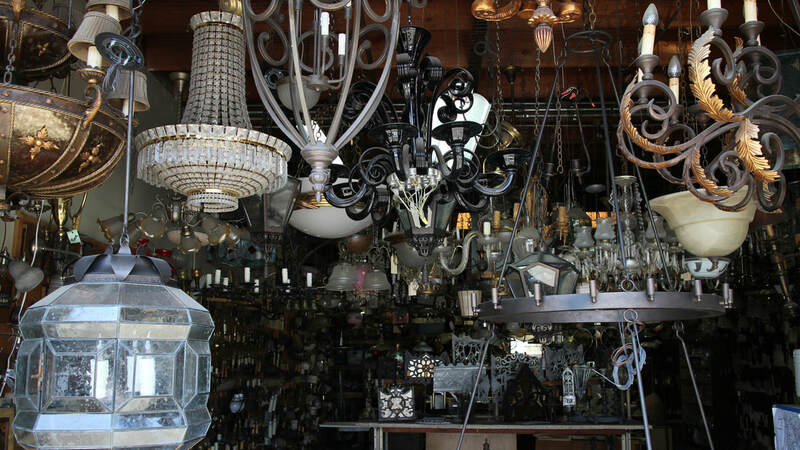 Gibson Lighting offers custom design and fabrication of all styles of lighting fixtures. We serve homeowners, builders and designers by supplying custom-crafted light fixtures of all types to be showcased in residences, hotels, restaurants, retail stores, shopping centers, public and private universities, television productions, as well as city, state and federal buildings. Please explore our CUSTOM page to see our vast variety of examples. Our company also specializes in repair and restoration services, which comprise about 50% of Gibson Lighting’s total business. These services include replacement of missing or broken parts, refinishing/polishing, duplicating fixtures, and rewiring fixtures to UL standards or to include energy efficient LED/Title 24 components. Please explore our RESTORATION page to see our recent and favorite examples.